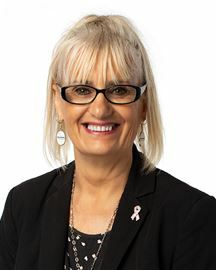 Selling in the Hanmer Springs and North Canterbury region since 2004, Jackie Frame has proven herself to be an experienced sales consultant specialising in Residential, Rural, Business and Commercial sales, regularly achieving top sales awards throughout Canterbury. Having been brought up in Culverden, Jackie moved away for several years to pursue training in the aviation industry, successfully completing her commercial pilots’ licence and working in the industry for many years, she still holds aviation as a strong passion of hers. A resident in Hanmer Springs, she makes the most of its beautiful surroundings by partaking in the many outdoor activities the town has to offer, in particular mountain biking and running. In recent years Jackie has competed in many local duathlons and sporting events, which gives us a hint of her amazing strength and determination in all areas of her life. Jackie values her community and likes to be actively involved, previously having volunteered as a fire fighter with the Hanmer Springs Fire Brigade for over 5 years, an important aspect to any rural town. Jackie is an outgoing individual who has built a reputation as a hardworking person with integrity and commitment. Her ‘can do approach’ to life and tasks set before her is a credit to her and her career in Real Estate. A humble person coupled with her professionalism and a hint of humour, a recipe for success. Annie’s instinctive skills regarding property, her warm personality and genuine desire to achieve great results for her clients has seen her embrace a career path in real estate. 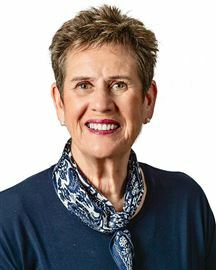 Coming from a background in health administration, having worked for 17 years at the Amuri Community Health Centre, Annie’s developed strong communication skills, and a drive for effective results, both paramount in the real estate industry. Prior to entering real estate Annie worked as an Earthquake Support Navigator in the Hurunui District providing support to individuals and the community and gaining invaluable knowledge around property insurance and earthquake claims. On the home front Annie lives in Waiau with her husband and their three grown children on a sheep and beef farm. Not surprisingly many of her hobbies revolve around her family and rural lifestyle. These include tramping, gardening and helping out in the community, notably volunteering at the Recovery Hub in Waiau in the months after the Hurunui/Kaikoura Earthquake. With a caring nature and her ability to build long term relationships you can be assured that if you trust Annie with your property, she will do everything in her power to create solutions and achieve the best outcome for you. Working as a team with Jackie Frame they offer double the commitment, combining reliable experience and enthusiasm. Their ‘T’ crossing ‘I’ dotting mentality, strong professionalism and a sense of humour delivers strong results and absolute excellence for all their clients. Driven. Innovative. Professional. These are just a few of the words that have been used to describe Harley Manion. 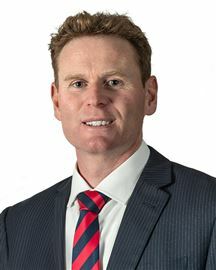 Whether buying or selling, Harley is a specialist in the Hanmer basin having successfully marketed and sold a wide variation of property including residential, lifestyle, commercial, rural and businesses. Results speak for themselves. In 2014/2015, 2015/2016, 2016/2017 and again in 2017/2018 Harley sold over $20 million worth of property and businesses for the year and achieved: #1 Salesperson - in Hanmer Springs, Harcourts 'Top 30' Salesperson - in Canterbury, Harcourts 'Top 100' Salesperson - in New Zealand, Harcourts - 2014/15 & 2016/17 Being a Local resident of Hanmer Springs and with ‘on the ground’ local knowledge Harley has both a passion for property and the surrounding area. Along with his energetic and reliable persona he has garnered an extensive client database and has a large number of repeat clients which is testimonial to his work ethic and expertise. He holds a Bachelor of Commerce in Economics & Management, as well as being a licensed salesperson REAA 2008. Strengthened by the support of the internationally recognized Harcourts brand, Harley offers a unique resource which he invites YOU to utilise. So whether buying or selling, Harley is looking forward to your call today! 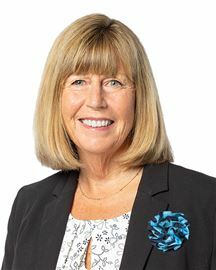 June Manion has been with Harcourts Hanmer Springs since 1999. She is a focused professional with an unparalleled work ethic who has had wide ranging experiences in dealing with Residential, Commercial, Lifestyle and Bare land property. 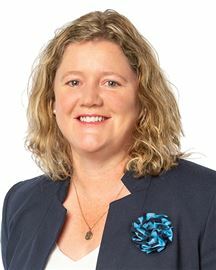 Her success can be measured by her consistent results: - Top Harcourts Hanmer Springs Salesperson in:	-2003, 2004, 2006, 2007, 2009, 2010, 2011 & 2012. - 2009 Top 100 Harcourts Salespeople in New Zealand - 2010 Top 5% of Harcourts Salespeople in Canterbury -2012 Top 10 Harcourts Salesperson in Canterbury & 46th in New Zealand - $70 + million of Property sales in Hanmer Springs. June is a friendly fun loving person with an enormous zest for life and living. Having been a full time resident in Hanmer Springs for almost 24 years she has an in-depth knowledge of the property, people, places and history within the area. With extensive personal hands on experience in the banking, farming, tourism and hospitality industries, she is the ideal person to help you explore the potential of the Village and its surrounds. In addition to her Real Estate work she has been appointed one of the few Marriage Celebrants based in the Village. A successful yet stress free result is June’s goal with all her property transactions. June enjoys having a catch-up and a coffee! So come on in, or give her a call, and experience the benefits of her “hands on knowledge” of Real Estate in the area. Denise has been a resident of Hanmer Springs since 2002 and has been working in the Four Seasons Hanmer Springs office for 13 years as Office Administrator. During this time Denise has built up a vast knowledge of the real estate industry as a whole. Denise is now utilising this knowledge within the office by reducing her hours spent as an office administrator and extending her role to incorporate property management. With a vast background of customer service based roles, Denise is committed to providing the best possible service she can provide for her clients, landlords and tenants alike. A House For A Home! 'H' Is For Hanmer & Holidays! Come Stay Where You Play! Dynamic Duo - Character & Sun! As Is, Where Is Opportunity! Fishing Bach... Home Or Both! Grand Views - Alpine Location! First Home Or Rental Returns! An Address That Will Impress! You Won't Want To Leave !!!! Warm and Cosy - Double Glazed! Did I mention the Views!!! 7ha's - Zoned For 57 Sections! Now Priced - Value For Money!! Yes... The Price Is Right! New Life - New Home! Stop Looking - Start Living ! Easy Living, Great Choice ! All The Perks But No Work! 1/4 Acre section for $25,000!! Bag A Bargain Now - $150,000! !